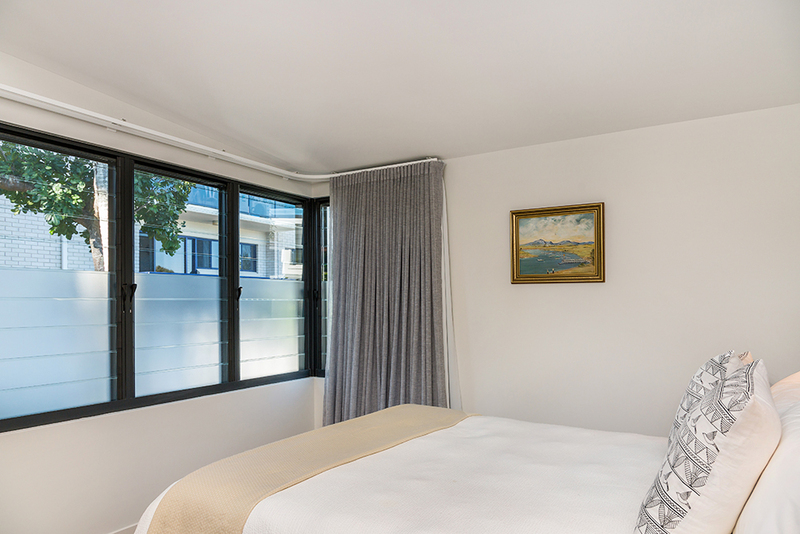 This beautiful holiday accomodation positioned on the beach of Byron Bay has recently been revamped with the highest quality of Creative Blinds products. Curved Dual Curtain tracks are quickly becoming popular with their ability to completely stack back off your window or door. Our Sunscreen Fabrics are an excellent option for Roller blinds, the fabrics clever design allows you to see out, but not in during the day! While also providing UV protection for your expensive flooring or furniture.